Beware that they must be text. So if you want to pass a number, wrap it into Text.From(…). 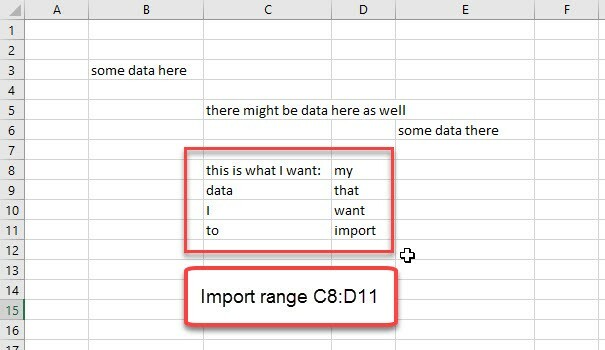 There might be occasions where you want to import data from Excel into Power Query or Power BI using cell coordinates like a range from E3 until G9 for example (“A1 cell reference style”). The function I provide below also caters for the potential pitfalls of this task that Maxim Zelensky has described in his article. If your worksheet has one leading empty row and column, the import will ignore them and automatically return the range starting from B2. So to fetch the range E3:G9 you have to delete the first row and the first 3 columns. But as Maxim has found out, remaining formats on empty cells will lead to an import of empty rows and columns. So the number of rows and columns to delete will vary and is hard/impossible to predict. The imported range is E1 till J12, as the first rows contain formatting instructions, and will therefore be imported as well. 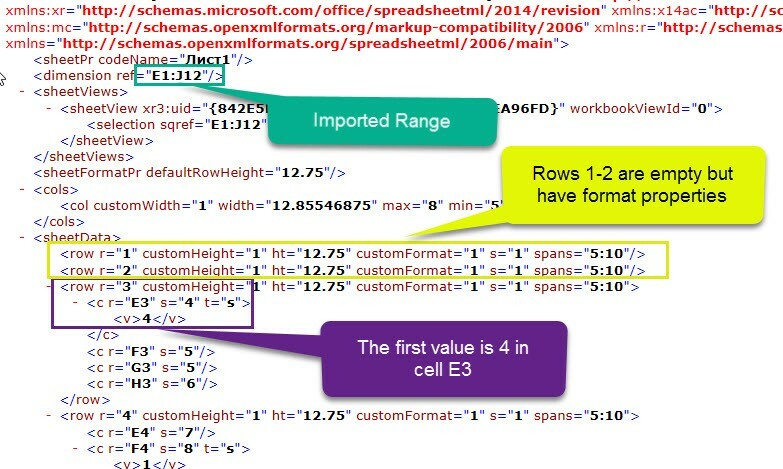 In the 3rd row E3 shows up with the first value, which is surrounded by “<v>”. 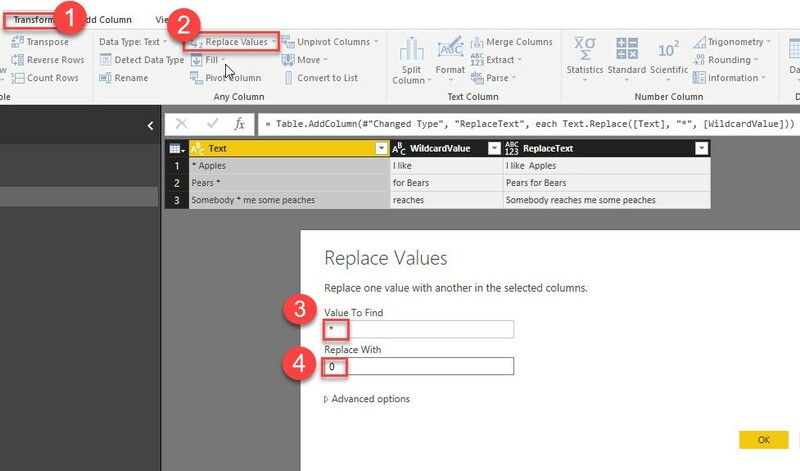 Task is to calculate the number of rows and columns delete, considering the individual offset that is caused by the formatted empty cells. 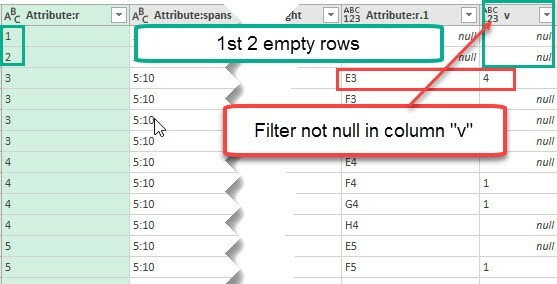 The following function automatically transforms all columns to the types that have been detected in the cells of its first row. Provided they come as: Number, date or text (but you can add additional type conversions if you need them.). 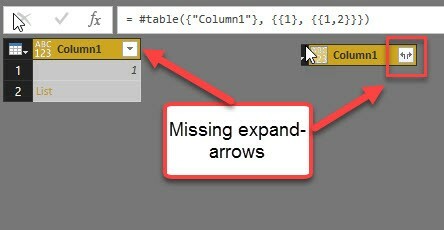 This technique should be applied to columns where the expandable elements all have the same structure. If that’s not the case, you should use this technique instead. 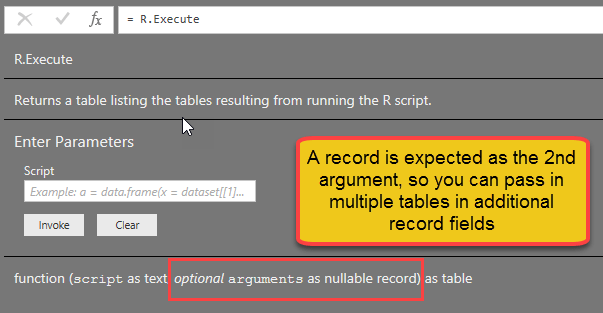 This article shows a trick for a little problem that annoyed me for quite some time: How to get Table.TransformColumns transforming the values of a column with a reference to a value (from the same row) of another column?